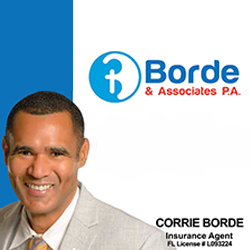 BORDE & ASSOCIATES P.A. is dedicated to finding the right healthcare insurance options for individuals and families by building a fiduciary relationship with them. Located in Melbourne, Borde & Associates P.A. in an independent insurance agency which offers options from multiple national carriers and other established resources. Our focus includes helping individuals, families and businesses find the perfect insurance solutions, building lifelong relationships and serving our community.